lividbox.com has just released AirScan for iOS devices with auto-focus cameras (iPhone 3GS, iPhone 4, and 4th generation iPod touch). In contrast to the many “barcode scanner” apps in the App Store that are designed only for price checking, AirScan allows you to use your iPhone/iPod as a wireless barcode scanner. Barcodes scanned with the software are sent wirelessly to a computer “base station” (running a special, free, iBarcode server). 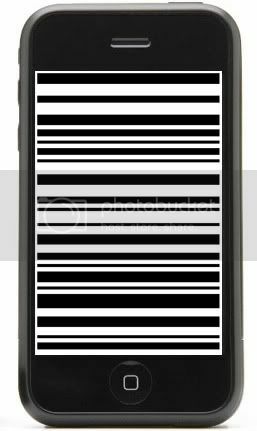 Barcodes can also be saved to the clipboard on your iPhone. Engadget reports that Jack Dorsey, creator of Twitter is rumored to be developing a the Square iPhone Payment System which consists of a small credit card reader attachment and accompanying app. The system would allow for easy payments by card-swipe and on-screen signature, with the receipt being emailed. One of the reasons we haven’t seen an accurate barcode scanner for the iPhone is due to its lack of a decent lens with auto focus. Some developers have tried work arounds, like ScanLife, which went out of its way to create its own proprietary simple codes the iPhone lens could actually scan, but this app doesn’t work with the standard UPC and EAN we see on almost every product in our local stores, thus pretty useless. Occipital, a startup based out of Boulder, CO., today has released RedLaser, a new iPhone app that can scan standard UPC barcodes simply with an iPhone camera. Here’s what it does – let’s say you find a DVD you’re interested in checking out prices of, turn it around and on the back you’ll find the UPC bar code. Yes, the one your friendly cashier usually scans. Load up your RedLaser app, carefully frame up the bar code, and scan. RedLaser then sends that information to Google product search and sends back results right to your iPhone. Simple as that. You can then click through to see Amazon results. Jeffrey Powers, Co-Founder of Occipital explained the product works with basically any name-brand item including electronics, games, hardware and office supplies. Groceries scan well but aren’t usually in the database at this point. RedLaser will soon have support for books. I tried it on several of my DVD’s and CD’s and got 100% accuracy. RFID technology has turned up in plenty of surprising places, but there hasn’t exactly been the explosion of iPhone-related development that you may have expected. The lack of an easily accessible RFID reader may have something to do with that, but that doesn’t seem to have stopped the folks behind the Touch research project, who rigged up a not-so-discreet RFID reader and put it to some fairly inventive tasks. That includes assigning various media to different objects, like a Bob the Builder video clip that’s linked to a Bob the Builder toy, a clip of Chuck Norris kicking a car in the face that’s linked to a Chuck Norris action figure (which doesn’t even have an RFID chip), and a dynamically-updated MAKE podcast that’s linked to a slightly nerdy fellow. Of course, all of this is primarily a proof of concept, and the researchers behind the project see plenty of potential for other applications, including everything from gaming to marketing. Head on past the break to check it out in action. Barcode scanning with the new iPhone? When iPhone 3.0 comes out later this year, we’ll see iPhone apps tied to special-purpose accessories. Imagine a universal remote that lets you use your iPhone to control every box in your home-entertainment system. Or a portable RFID- and barcode-scanning module that turns your iPhone into a tiny store clerk — or comparison shopper — letting you find and buy stuff just by waving your phone at it. These are just two suggestions from Wired.com readers for accessory-powered iPhone 3.0 applications — or, to use the term we coined, dongleware. We put up a call for suggestions, and you responded with loads of great ideas. We figured, what better way to give wannabe-millionaire developers ideas — and get what consumers want in return? Win-win. iPhone 3.0 won’t be launching until summer, but developers can get plenty done in two or three months. To help speed up the process, here are your top-voted ideas in a nice and tidy list. Drum roll, please. This idea got the most votes — an accessory that acts as a barcode scanner and maybe triples as a magnetic-card and RFID tag reader. Here’s how it could be useful: It would essentially turn the iPhone into a miniature checkout stand. The barcode scanner would register a product’s price, and then customers can simply swipe their credit card into the magnetic card reader. Similarly, the radio-frequency identifier would scan products containing RFID tags, such as library books, and send that information to the iPhone. In theory, the iPhone app transfers the data via the internet to complete the transaction. Wouldn’t it be interesting (and a little weird) to see iPhones or iPod Touches at the checkout counter of every store? This could also make a great tool for consumers to do on-the-fly comparison shopping while they browse brick-and-mortar stores.